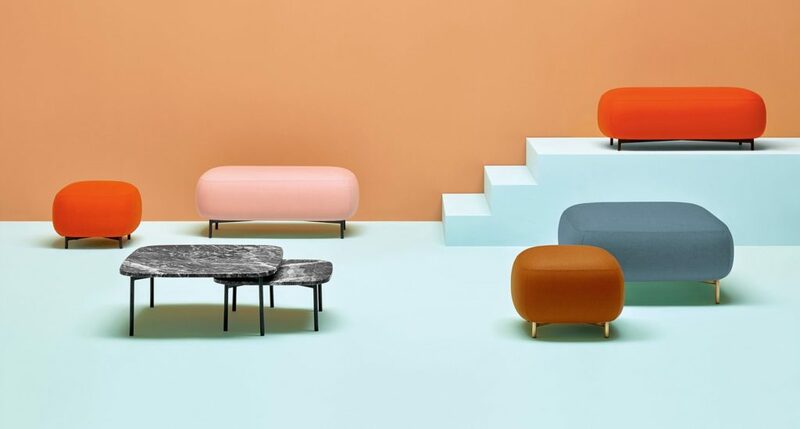 Soft lines and clean design features the ottoman and the tables of Buddy That collection thanks to a friendly and versatile character can complete the interiors of every environment. The coffee tables have the same frame of the ottoman and match squared tops with rounded corners in line with the design of the family. Powder coated or antique brass steel frame; cofee table with marble, HPL or Fenix NTM ® top. 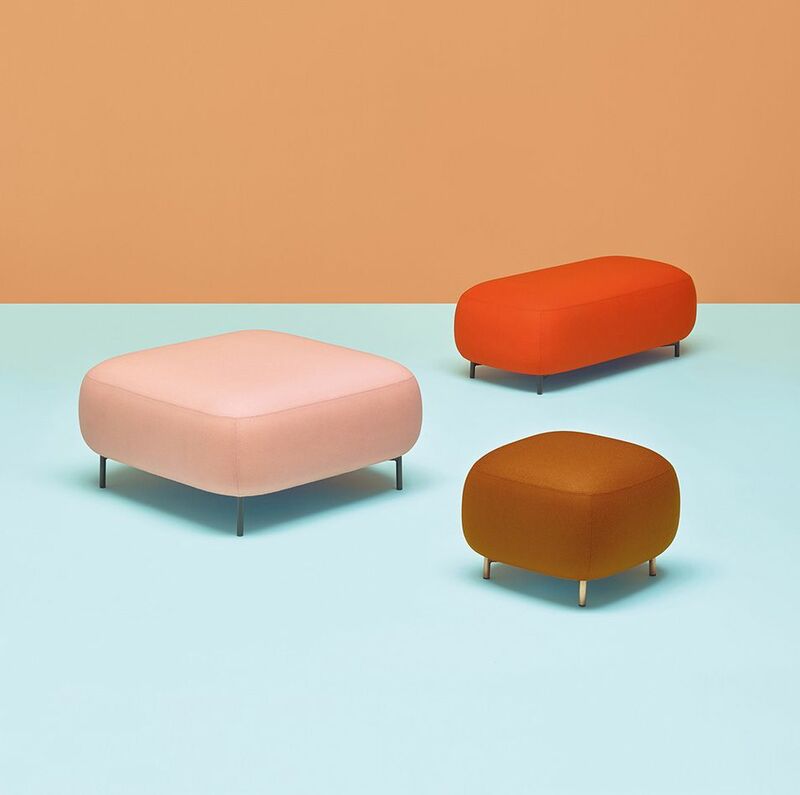 The rounded shape of the ottoman with a generous and comfortable upholstery is supported by four thin legs and rigorous. 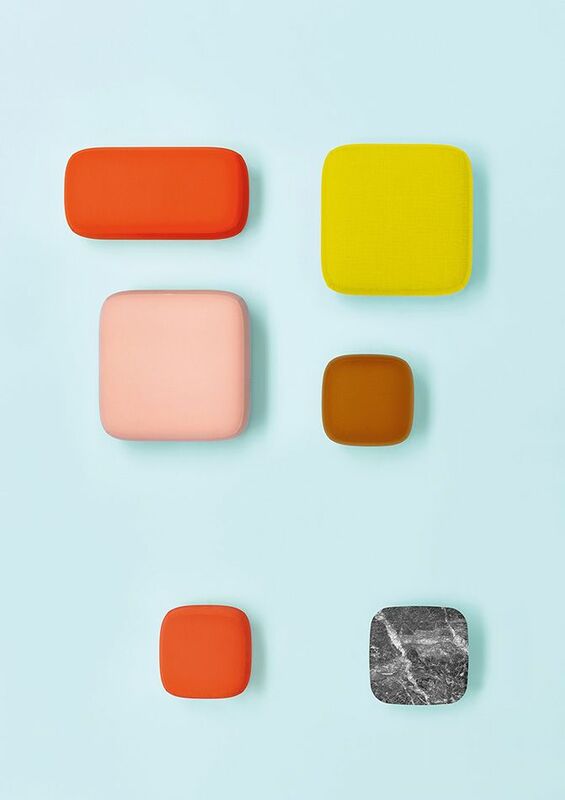 These make the ottoman extremely functional and visually lift the volume from the ground.